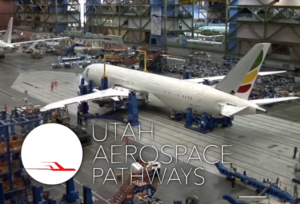 The Governor’s Office of Economic Development (GOED) is pleased to announce the 2018 graduating class of the Utah Aerospace Pathways (UAP) program. A total of 55 students from Davis, Granite, Iron County, Ogden and Weber school districts received certificates in aerospace manufacturing. The graduation took place at the Utah State Capitol on May 15. Students in the program have participated in courses through their high schools and in collaboration with post-secondary partners. The students engaged in an externship with participating companies, where students receive work-based learning opportunities and interact with companies.